Stomatitis is defined as the inflammation of the mouth and lips. It affects all the mucous membranes of the mouth: it can appear anywhere in the mouth: cheeks, gums, and the inside of the lips or on the tongue and it can manifest with oral ulceration (mouth ulcer). The two main types of stomatitis include herpes stomatitis and aphtous stomatitis. The first type is caused by infection with the HSV1 virus and the second type can be caused by numerous issues, including poor oral hygiene or damage to the mucous membranes. Bacterial, fungal or viral infection, certain drugs, physical irritation or some systemic disorders can be causes for stomatitis. The symptoms for stomatitis vary according to its type. Canker sores, in the case of aphthous type, are pale or yellow ulcers or a cluster of them. Cold sores, or oral herpes, are fluid-filled sores usually on or around the lips. - soreness in the mouth. A dentist that performs a basic consultation will be able to tell you the causes for stomatitis and the proper treatment method. The common forms usually last for one or two weeks and the inflammation and soreness will recede in time. The treatment for stomatitis usually starts with symptom relief: pain relievers and avoiding certain foods and drinks which can contribute to the already existing irritation. A dentist will be able to provide you with the best treatment for stomatitis caused by various dental procedures. Mouth sores and inflammation can appear as side effects after some particularly in case of dental infections. Patients who have a poor dental health can develop stomatitis under their dentures. 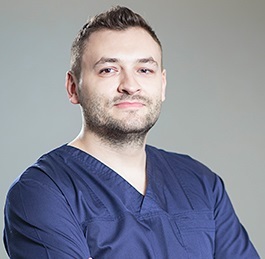 Our dentists in Bucharest can help you if you suffer from stomatitis. You can contact our dental clinic to book an appointment as soon as possible. If your stomatitis is caused by an underlying condition, a dentist will be able to tell you if you should see a doctor. Interested in dental treatments abroad? 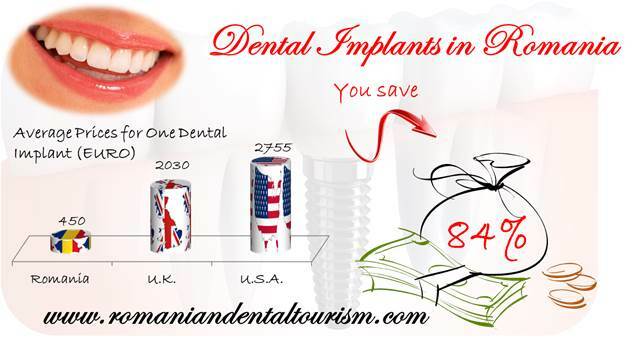 A dentist at our clinic can also tell you more about dental trips to Romania.